Under the mighty Dhauladhars lies a small, quiet village of Chandpur, 5km from the Palampur town, tucked away behind the Holta Army station – away from traffic, tourists and crowds. A quick walk down the hillside from the village are wide open fields, with a glacier fed stream – the Awa Khud – flowing alongside. 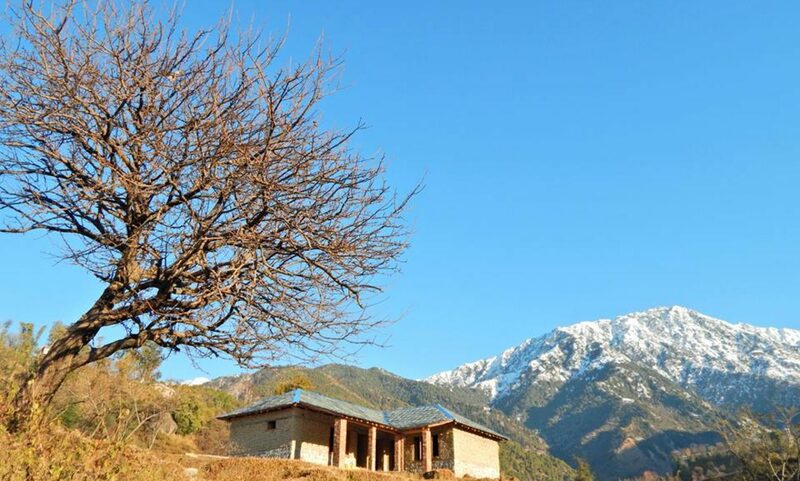 Amidst this blessed landscape is The Earth House – made completely of bamboo, mud and slate stone designed by architects in love with the traditional style, completely in sync with nature and a pretty sight to behold. Come over to spend a weekend, a week, or even a month. We promise you’ll start to belong.